Available for the first time in English, this seminal study features contributions from established and rising scholars from eight countries who argue German, central, and eastern European perspectives. Although much has been written about the Western Front in World War I, little attention has been given to developments in the east, especially during the crucial period of 1914-1915. Not only did these events have a significant impact on the fighting and outcome of the battles in the west, but all the major combatants in the east ultimately suffered collapses of their political systems with enormous consequences for the future events. Available for the first time in English, this seminal study features contributions from established and rising scholars from eight countries who argue German, central, and eastern European perspectives. 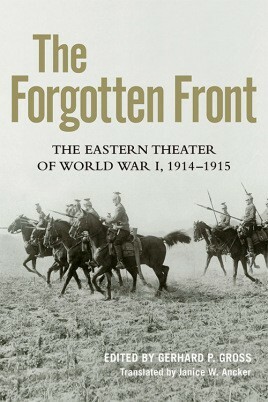 Together, they illuminate diverse aspects of the Great War's Eastern Theater, including military strategy and combat, issues of national identity formation, perceptions of the enemy, and links to World War II. They also explore the experiences of POWs and the representation of the Eastern Front in museums, memorials, and the modern media. The scholarship on the First World War is dominated by the trauma of the modern, technologized war in the west, causing the significant political events and battles on the Eastern Front to shift to the background. The Forgotten Front illuminates overlooked but vital aspects of the conflict, and will be an essential resource for students and scholars seeking to better understand the war and its legacy.